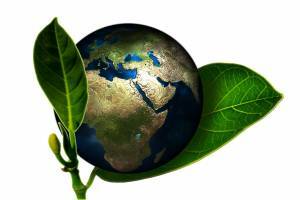 BKC and our family of cabinet manufacturers consistently support eco-friendly products and initiatives. 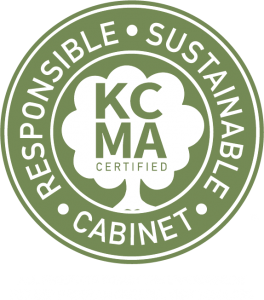 Each of our cabinet manufacturers has been certified by the Kitchen Cabinet Manufacturers Association’s (KCMA) Environmental Stewardship Program. The KCMA-administered program recognizes manufacturers that use environmentally-responsible materials in the production of their products and that minimize community impacts by recycling wastes and using low-emissions finish coatings. In particular, Crystal Cabinet Works has been directly involved in the development of the ESP program and is considered an industry leader in the use of eco-friendly products for cabinet making. All of our custom and semi-custom cabinet manufacturers strive to use materials that have reduced effects on human health and the environment, which makes them perfect options for you and your family. Icestone and Vetrazzo are durable countertop surfaces made from recycled glass. Richlite is manufactured using renewable and recycled paper products. Caesarstone‘s primary product is natural quartz, however they also manufacture a recycled series of countertops whereby remnants from the production of their quartz countertops are reused to make recycled quartz countertops. TorZo countertops are made from agricultural by-products (including sorghum stalk, wheat straw board and sunflower seed hull board) and recycled wood material. 100% of our surplus materials are donated to a local not-for-profit organization for re-sale and re-use. Showroom displays are recycled in this manner if they are not sold to customers. 100% of our office and warehouse space is illuminated with low-energy consumption fluorescent bulbs. The primary lighting in our showroom consists of compact fluorescent bulbs. The heating and cooling of BKC’s facility is controlled by energy-efficient programmable thermostats. All paper, plastic, aluminum cans and other waste metals are collected for recycling. Outdated storage files and manufacturer catalogs are accumulated for annual shredding and recycling.